Yes–one more ice cream recipe! As you might have noticed from my Wendy’s Frosty Copycat recipe and my S’mores Ice Cream recipe, I’m a little bit on an ice cream kick right now. 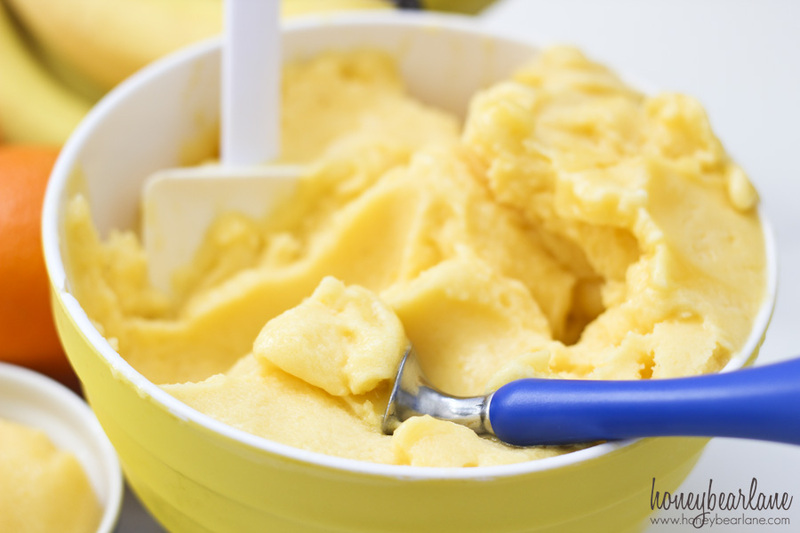 This pineapple mango sorbet recipe is a bit healthier and dairy-free. It starts with a sugar and water syrup base. Just mix a cup of water and a cup of sugar in a saucepan, mixing and dissolving it. Meanwhile, cut up 1 fresh pineapple and 2 fresh mangos (you could plausibly use frozen but I’m not sure how it would turn out.) Blend the fruit really well in a blender. Once the sugar is dissolved, mix in your blended fruit and bring to a boil. Pour the fruit mixture into your ice cream maker and run according to the manufacturer instructions. 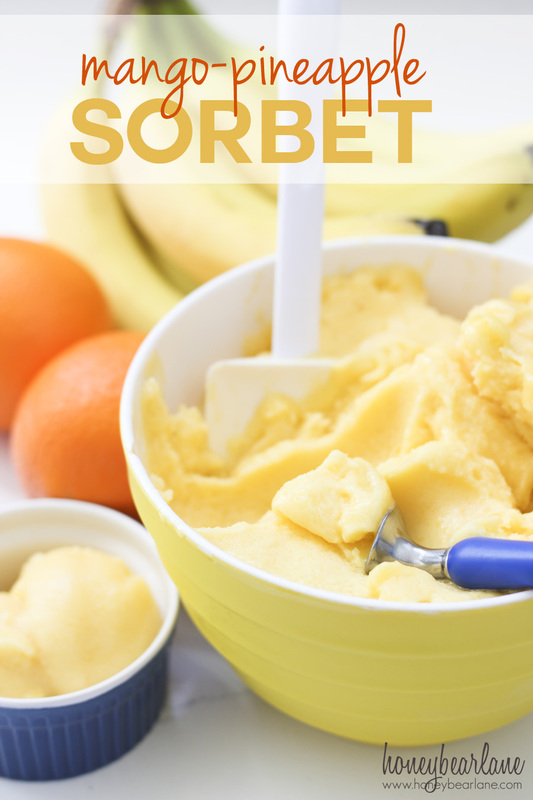 After it’s done, pour it into a freezer safe bowl and freeze for even longer for a nice hard sorbet or you could serve it immediately although it’s a little more smoothie-like. Dissolve the sugar in the water in a saucepan on the stove. Meanwhile, blend the pineapple and mango until smooth. Add the fruit to the sugar-water mixture and stir together. Bring to a boil and then pour the entire thing into an ice cream maker and run according to the manufacturer's directions. Freeze for several hours or overnight to get a hard consistency.